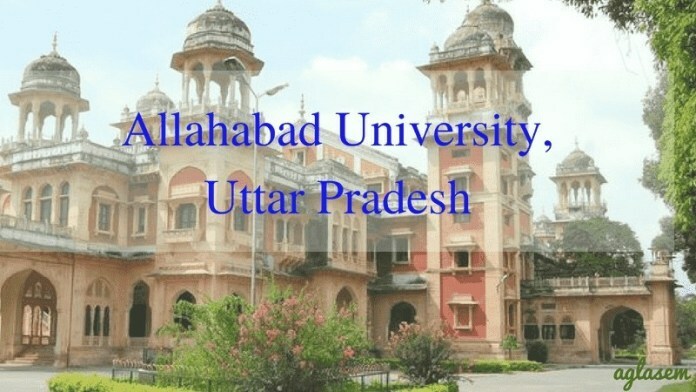 Allahabad University – was established on September 23, 1887. The University is the located in Allahabad, Uttar Pradesh. It is the 4th oldest university in India after Calcutta, Bombay and Madras University. LT. Governor of North-Western Provinces, Sir William Muir in 1976 suggested the idea of a Central University at Allahabad. After the establishment of the University, it was functioned under the University of Calcutta. concerned about the women’s education. There are many colleges that are affiliated by Allahabad University some of them are Allahabad Degree College, Arya Kanya Degree College, C.M.P Degree College, Ewing Christian College, Rajarshi Tandon Girls Degree College, Jagat Taran Girls Degree College and many more. Allahabad University offers various courses like M.Phil, D.Phil, Post Graduate and Undergraduate. Check the article for more information regarding Allahabad University. The University offers various programmes under M.Phil, D.Phil, Post Graduate and Under Graduate. Check the table for the list of programmes. Check the fee structure of various course offered by Allahabad University.